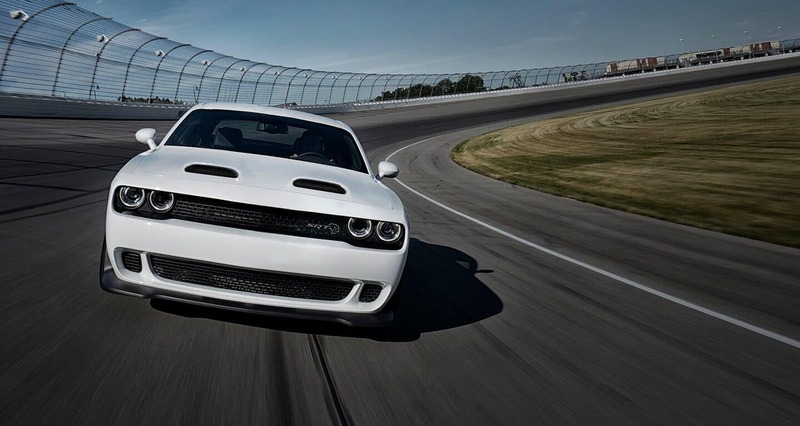 The Dodge Challenger is the muscle car to beat. Not only has Dodge continued to upgrade and add to this car, but it has managed to maintain retore-styling in favor of paying homage to the past. 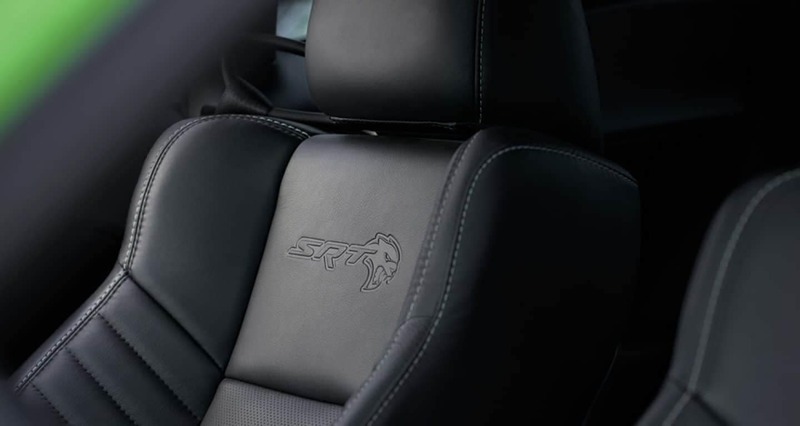 In 2019, Dodge has increased the horsepower in every Hellcat model, added the SRT Hellcat Redeye trim, and made all-wheel drive available for the base SXT trim. These changes are a part of what makes people keep coming back. Dodge doesn’t ever stop designing or thinking of new ways to keep this beast fresh and exciting. That is why the trim lineup is such an important part of the 2019 Challenger. There are six trim levels to choose from, including the new SRT Hellcat Redeye model that is the perfect trim to fill the hole of the SRT Demon. To learn more about these trim levels keep reading down below. The base trim comes with many standard features. These features include a six-speaker sound system, Bluetooth, two USB ports, a seven-inch touchscreen, Android Auto and Apple CarPlay, a rearview camera, 18-inch wheels, 60/40-split folding rear seats, keyless entry and ignition, a power-adjustable driver seat, an auto-dimming rearview mirror, a leather-wrapped steering wheel, and dual-zone automatic climate control. If you add all-wheel drive to this trim, you’ll get the addition of upgraded brakes and 19-inch wheels. Moving up a level is the GT. This trim includes a sport suspension, upgraded brakes, performance-related in-car apps, fog lights, a sport steering wheel with shift buttons, a hood scoop, 20-inch wheels, aggressively bolstered front seats, remote ignition, and rear parking sensors. If you opt for all-wheel drive, expect to see 19-inch wheels. As we continue to move up the trim level, you’ll find the R/T. This trim includes a chrome fuel filler door, an active sport exhaust, 20-inch wheels, a limited-slip differential, and upgraded brakes. This trim comes with either a 6-speed manual transmission, or an eight-speed automatic transmission. As we get towards the top of the trim lineup, you get the R/T 392. This model includes premium speakers, launch control, additional performance-related in-car apps, high-performance sport-tuned suspension, a rear spoiler, a Wi-Fi hotspot, special styling elements, line lock, configurable driving modes, heated cloth sport seats, an 8.4-inch touchscreen, a heated steering wheel, Brembo performance brakes, and a black fuel door. The penultimate trim is the SRT Hellcat. This model includes features like quad exhaust tips, a dual-snorkel hood, unique exterior styling, interior ambient lighting, six-piston Brembo brakes, and a sportier adaptive suspension. This model, along with the R/T 392, is offered with a Widebody package which has wider tires and fender flares. The highest available trim in the lineup is the SRT Hellcat Redeye. This trim is new in the 2019 model year, and is taking the place of the limited edition SRT Demon. You’ll find many of the same features that have been previously mentioned, along with a powerful engine that can produce up to 797 horsepower. The Hellcat Redeye, like many of the upper-level trims, can add features like ventilated seats, adaptive cruise control, a nine-speaker Alpine audio system, and a sunroof. We hope you’ll check out our 2019 Dodge Challenger selection! 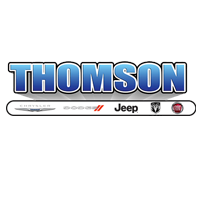 We have many different trim levels to choose from, and all of them are reliable and fun to drive. So stop by our dealership today, take advantage of our deals, and drive home in the car of your dreams.